I read and watch TV/movies as an escape. I'd say a lot of folks do. It's a way to unwind, let my mind wander and imagination run off. I immerse myself in the make-believe world, whether it's life on another planet or hitting a grand slam in the World Series or being swept off my feet by a gazillionaire who also happens to be a good listener and devilishly handsome. But once in a blue moon, I dive into a world that is uniquely suited to my reality, my own truth, my very existence and feel like the writer is actually just transcribing a home video. That was very much the case with Melissa Walker's recent release Small Town Sinners. 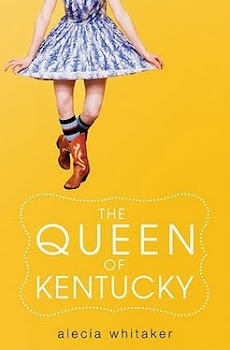 The book follows Lacey Anne, a junior in her small town high school and active member of the local church where her father is the children's pastor. Lacey Anne is a good girl, always has been, and has a close relationship with God. She feels passionately about the teachings of Jesus and turns to her parents for guidance and the Bible for wisdom. Her best friends are also members of the youth group and they are all excited to try out for Hell House, the annual haunted house of sin her church holds every year. Today is a quickie, but goodie. Just want to pay homage to my youth. Vote for your favorite and comment below! Do these songs or videos bring up any old memories? A few weeks ago I went to an author signing at Books of Wonder here in NYC. There I met Lisa Schroeder, an administrator of the young adult blog The Contemps. I was excited to meet her because I had just applied to be a contributor to that very blog; but after reading her newest novel The Day Before, I am ten times as stoked to be working with her. 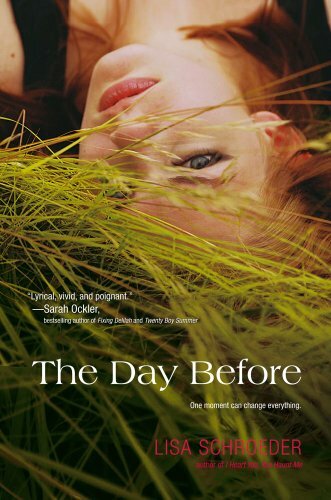 The Day Before follows Amber, a young girl who wants to lose herself in her iPod and sneak away from her family and friends to have one last day to herself before her life changes dramatically. Although she had planned on spending the day before this ultra scary life change alone, she meets Cade, who also seems to be escaping something in his life, and the last thing she wants to be is alone... unless it's with him. They decide to spend the day together, asking no questions, but living in the moment. I recently read that it's best not to use the word "no" too often or it will quickly lose import to my one year old son. If I said "No!" every single time Knox reached for electrical wires, tried to rip off my shirt to breastfeed in public, or reached for the substance in his dirty diapers during a change, it would come out in just about every other breath. They say on babycenter.com that he doesn't truly understand many words anyway, but he certainly gets tone. Hey Tweeple! You're in for a treat today. 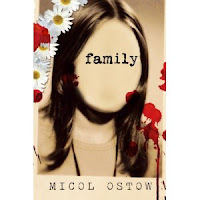 My good friend Micol Ostow, author of over 40 books and super talented writer extraordinaire, is stopping by the blog today to answer the normal Tuesday questions as well as a few extras about her recent release family, which I blogged about several weeks ago. Micol: I definitely don't have one favorite, but "The Shining" by Stephen King is probably up there. Micol: My hometown (South Orange, NJ) is so suburban! But I guess one thing that's unique or fun is the South Mountain Arena (actually in West Orange, where I was born), which is an ice rink where the NJ Devils practice. The Turtle Back Zoo is located behind the arena, and I personally LOVE the zoo. If it's nice out, you can go for a picnic in the South Mountain Reservation afterward. Me: Who are you following on Twitter right now that would surprise your friends? Micol: Probably my reality tv guilty pleasures -- Real Housewives and etc. Though, I don't know if that would surprise my friends so much. My readers, maybe! "Told in episodic verse family is a YA novel that is a fictionalized exploration of cult dynamics, loosely based on the Manson Family murders of 1969. It is an unflinching look at people who are born broken, and the myriad of ways in which they try, over and over, to make themselves whole again." Me: When writing family, how did you weave it together? There are so many short pieces that could almost stand alone as poems. Did they flow chronologically like following an outline in your other novels or did you write them individually and piece them together like a puzzle afterward? Micol: I didn't outline, but I had a sense of the story's arc, and I wrote as chronologically as I could. Obviously the vignettes also jump back and forth in time, and so 'chronologically' maybe be a the wrong term, but for the most part, I wrote the vignettes in the order in which they appear in the book. There was a little bit of shifting around during the revision stage, but more than that, I was adding new pieces to help flesh certain characters and plot points out. Me: Henry's name is the only one capitalized throughout, as well as any pronouns referring to "Him." This is similar of many translations of the New Testament Bible when Jesus speaks. Was this on purpose as a reflection of Henry being the family's savior? Micol: I wasn't thinking specifically of the New Testament, but I was definitely trying to communicate that Mel perceived Henry differently than anything or anyone she had ever known. When I first began writing, I thought there might be other phrases or words that would be capitalized, but as moved forward, that turned out not to feel right for the character. I think you never really know until you're in the thick of the writing how these things are going to work themselves out. Me: The book takes place in San Francisco and the description of the family compound is quite vivid. Did you visit California? Is the compound imagined or based on research from the Manson murders? Micol: I appreciate your saying that, because I feel personally like a lot of the descriptions in the book are fairly hazy! But then, Mel's state of mind is generally pretty hazy, so that makes sense somewhat. I've been to California a few times, but only to LA and San Diego, never San Francisco. That said, I'd read a lot about the Manson murders by the time I sat down to write my book, and I had seen many pictures of the Spahn Movie Ranch, so I suppose I did have a fairly vivid sense of the source material in my head as I worked. Me: The main character Mel is broken, but by the end, we discover that she's not completely shattered. Can you talk about the last moments and what led you to your ending? Micol: I don't like to talk about the ending because of spoilers! Sorry to be a party pooper! But I will say that the ending is the one part of the book that changed the most drastically in the revision process -- I wrote three completely different versions. The first version felt too ambiguous, and the second version felt too bleak. I think this one works! Okay, I get it, no spoilers. We'll discuss that one next time I see you. Thanks so much for doing the interview. I must admit that I, too, am following a select few "Housewives" on Twitter and I, too, love the zoo. 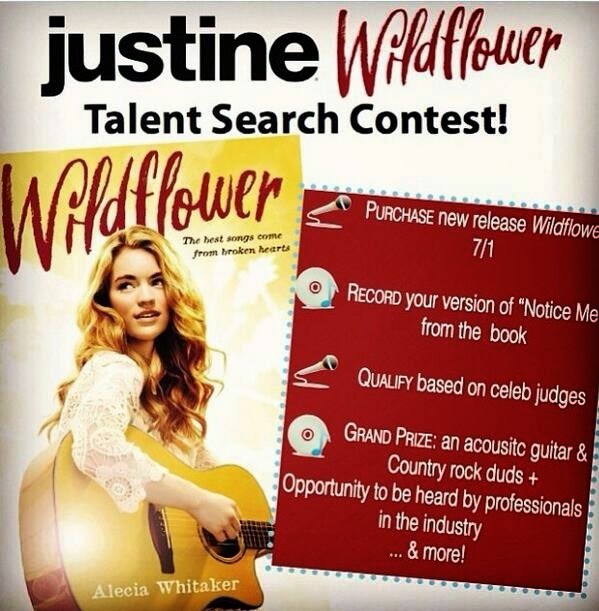 Tweeps, check out Micol's website at www.micolostow.com and follow her on Twitter! 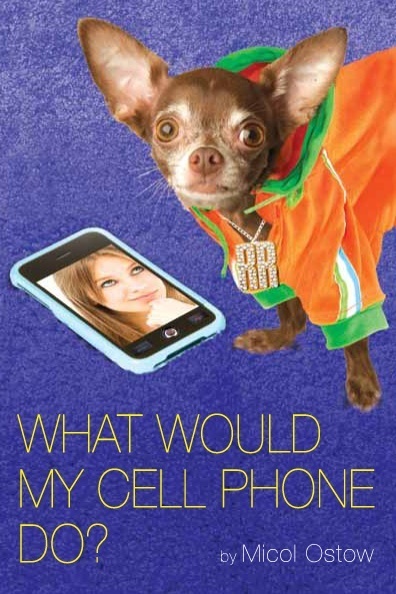 Look for family and her new release What Would My Cellphone Do? online or in bookstores now. My son has always been big for his age. He was 21 pounds by the time he was 9 months, had a bountiful head of hair, and he had 8 glorious teeth as well. He was in the 90th percentile for height and 75th for weight. This 9 month old was often mistaken for being at least one year. Although he grew quickly and sturdily, he lagged behind in other developmental areas. He didn't crawl til he was 10.5 months, is still not standing, and has not shown interest in solid food unless it is of the finely pureed variety. Now, my friend Ellen has a daughter who's been eating Cheerios by the handful since she was 7 months old. I'm not saying that Knox should compete; I'm just saying that he has twice as many teeth as she does and is three months older. I don't care that he didn't eat Cheerios at 7 months, but at one year? Come on. So I've been working with him. At his 9 month check up, the doctor said we should be thickening his food and I should be offering him O-cereal, banana, toast, crackers, pieces of fruit, etc. He didn't believe me that Knox gagged the minute I forced a Cheerio into his mouth. He had never seen a baby clamp his lips closed tightly and jerk his head from side to side the minute he saw a Cheerio headed his way. The doctor couldn't believe that a baby Knox's size and age was that big under the simple diet of breastmilk and Stage 1 jarred baby food three times a day. After this check up, I rolled up my sleeves and set to work. Every day, I attempted to give Knox three Cheerios. I forced them into his mouth or broke them into thirds and sneaked them into his food. The moment Knox felt the crunchy object on the tip of his tongue (the tip!) he would gag as if it were all the way back in his throat and unless I scraped it off, he would make himself throw up. So then we would both take a break. Give it a day or two and try a graham cracker or banana instead, which he also denied. If it didn't come from a blender, he hated it all. And finally, last week, he opened his mouth and allowed me to give him a Cheerio. He bit down, worked it around in his mouth, and I gave him oodles of praise. I yelled, danced, cheered, and clapped. "Go Knox! Momma's so proud of you!" And then he giggled and spat it out. But today - oh glorious today - my son ate a Cheerio. Not only did he eat it, but he fed himself! Not only did he feed himself a Cheerio, he popped 'em in one after another like a starving man! I am so happy. He is one year and one week old and finally eating Cheerios like his other baby pals. I know this milestone isn't walking, or talking, or anything huge to most folks, but I'm the proudest woman on the planet. And although I realize that this is his moment, I feel like a huge success myself.